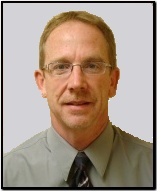 Dr. Mayo is a 1985 graduate of the Illinois College of Optometry where he was awarded the Lawrence P. Feigenbaum award as the top clinician in his class. Joining Coastal Eye Group that same year, Dr. Mayo has served as the President of the South Carolina Optometric Association and was given the SCOA Outstanding Service Award in 1988, and again in 1995. In December of 1999, he was named one of the Top Ten Optometrists of the Decade by Optometric Management Magazine, citing his years of contribution to the profession; He has served on the editorial board of every major optometric journal, authoring nearly 200 articles. An internationally known speaker, Dr. Mayo was named the 2001 Optometrist of the South. He has also been named a South Carolina Optometrist of the Year, and in 2015 he was given the prestigious President's Award by the Southern Council of Optometrists, citing his more than 20 years of work with the Council, the leading educational organization in the profession. He enjoys all aspects of eye care, especially pre-and post operative care, and low vision care for the visually impaired. After 30 years of practice what is he most proud of is “Founding the MAX II macular degeneration support group” which meets monthly in Myrtle Beach.